Austin Smith, BEI Fellow, will be at the Cordelia Street Cafe on Sunday, November 18, 2018 at 6:00 PM. This reading will be apart of the Princeton Series of Contemporary Poetry. 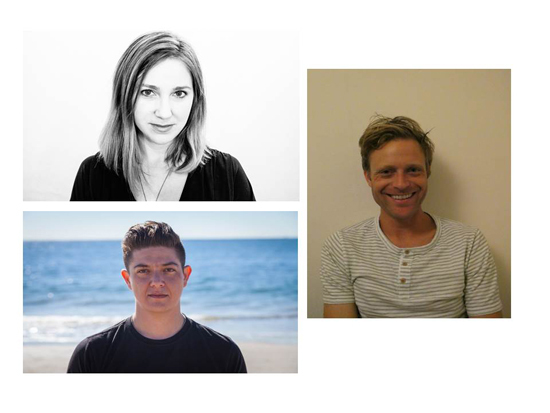 Austin will be reading with Dora Malech and Miller Oberman. Dora Malech is the author of two previous books of poetry, Say So and Shore Ordered Ocean. Her poems have appeared in the New Yorker, Poetry, The Best American Poetry, and many other publications. She is an assistant professor in The Writing Seminars at Johns Hopkins University and lives in Baltimore. Miller Oberman has received a number of awards for his poetry, including a Ruth Lilly Fellowship, a 92Y Discovery Prize, and Poetry magazine’s John Frederick Nims Memorial Prize for Translation. His work has appeared in Poetry, London Review of Books, the Nation, Boston Review, Tin House, and Harvard Review. He teaches at The New School and lives in Brooklyn, New York.